I've been looking to get some bucket seats for my 5th gen Lude....I guess this is for people that have them, which ones will fit, or which ones do you use? Is there an easy or semi easy way to make safe brackets for seats where the company doesn't accommodate for preludes? Also as lame as budgets are I dont really want to spend more than $500 per seat. 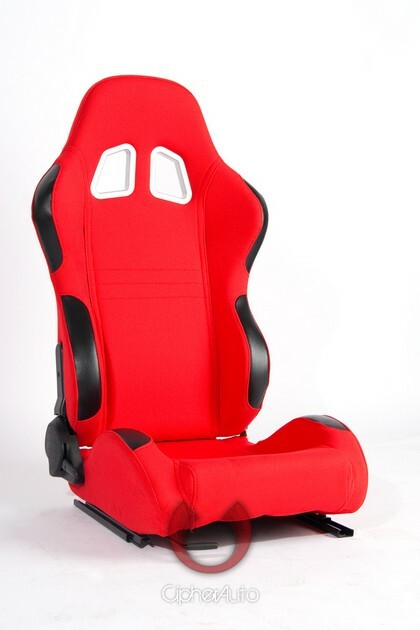 And as a specific question, I was looking at these seats does anyone know if they fit or anywhere to get a bracket for the 5th gen? As for the brackets, you can find the brackets on the website for $200.00 for the pair. Couple that with an MSRP of $400.00 for the seats, you're looking at $300.00 before taxes and shipping per seat. An affordable, quality alternative! I will probably get these and let you know how they fit and feel.